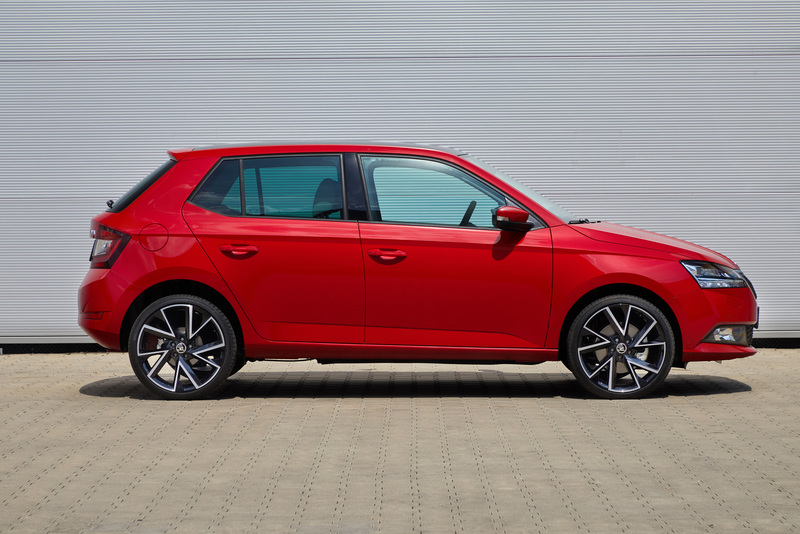 › New alloy wheels, for the first time in sizes up to 18 inches (for hatchback only). 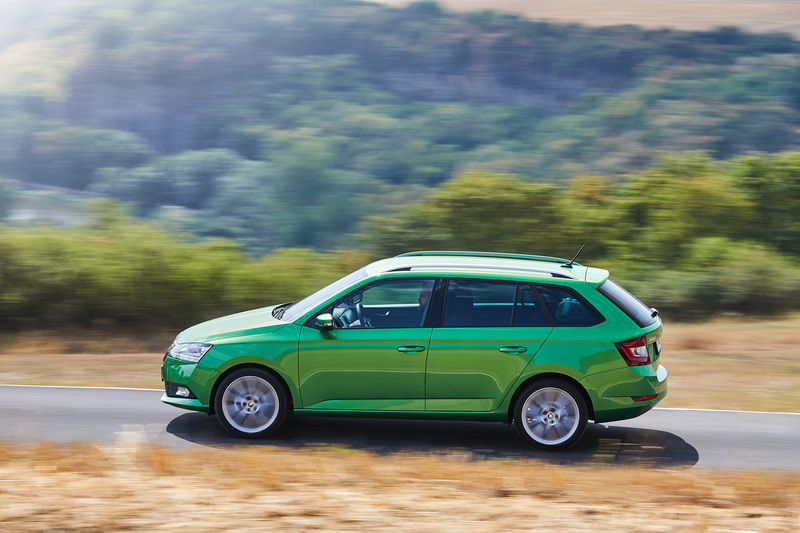 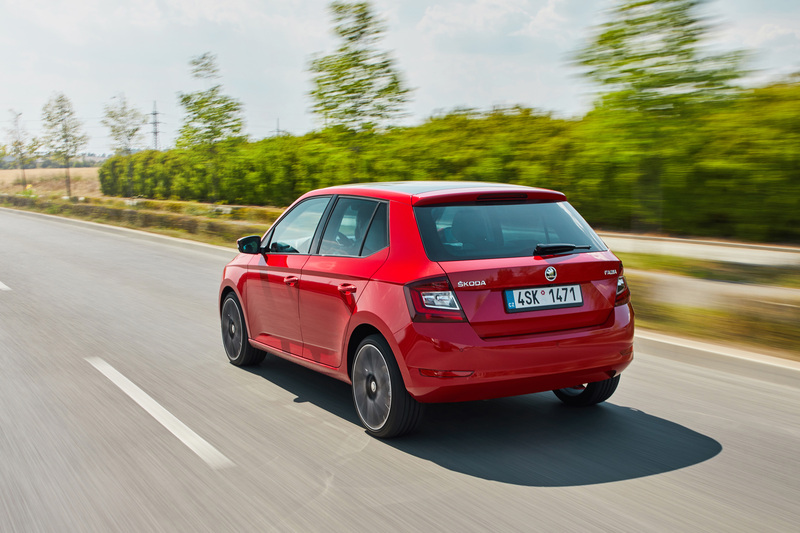 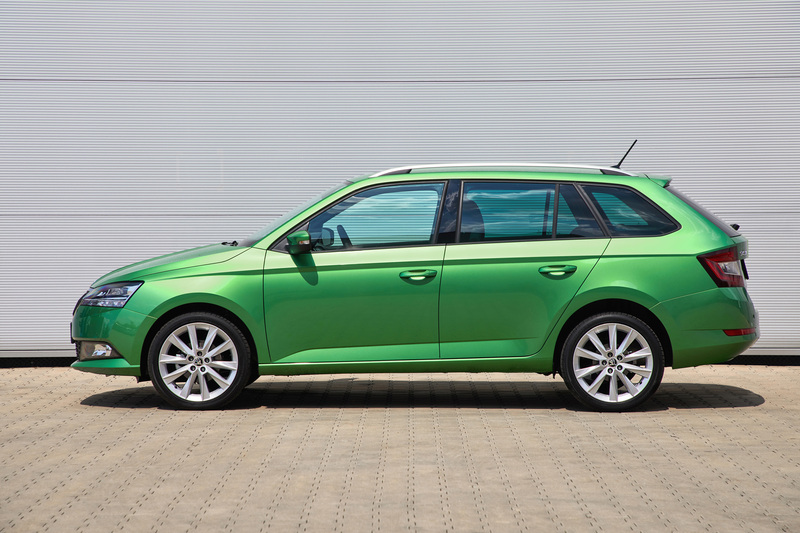 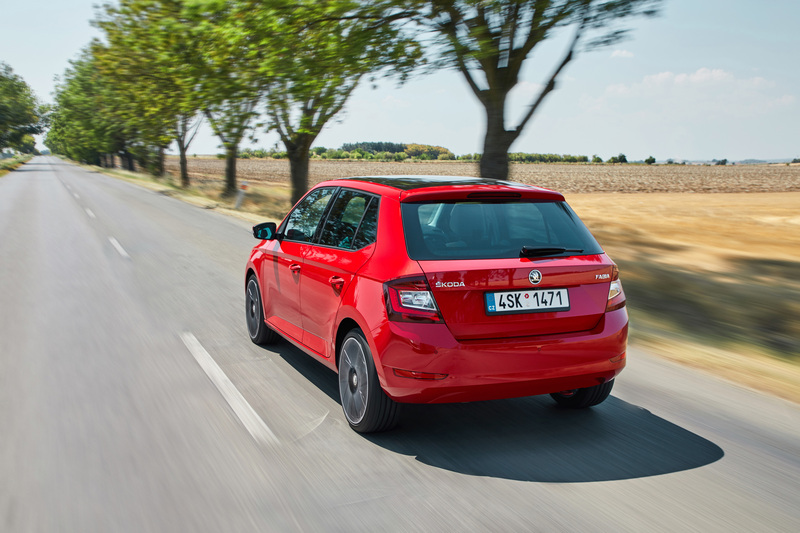 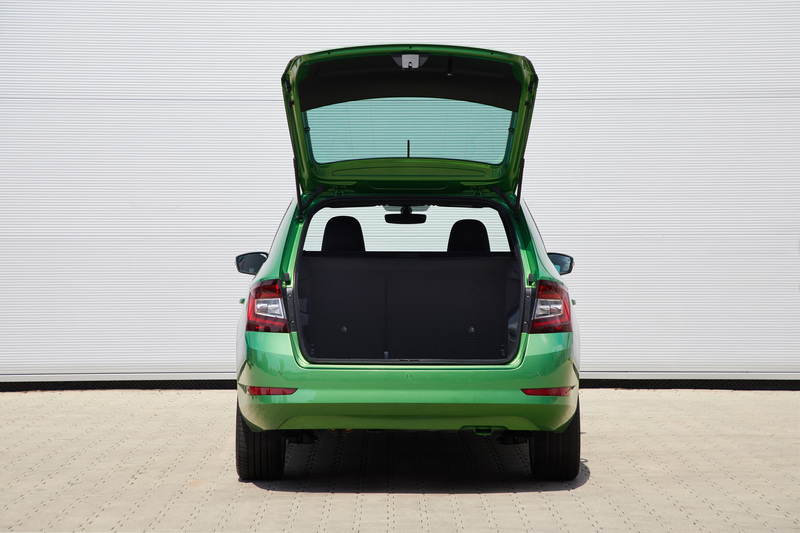 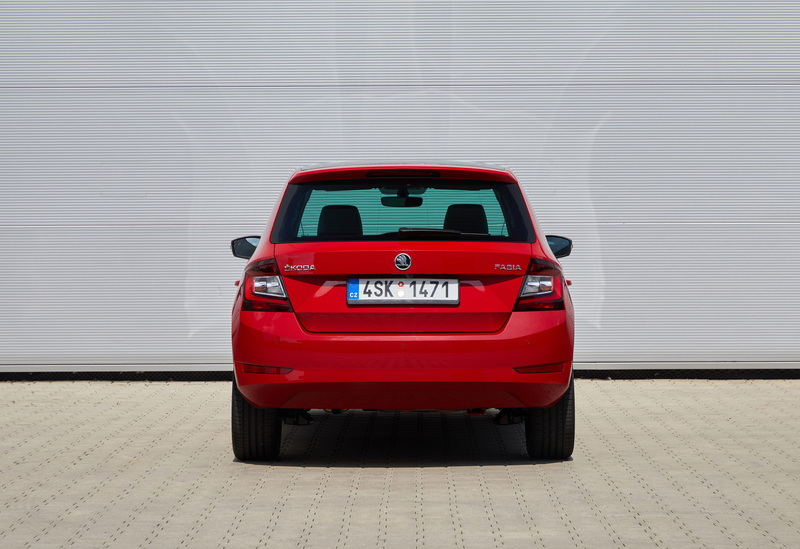 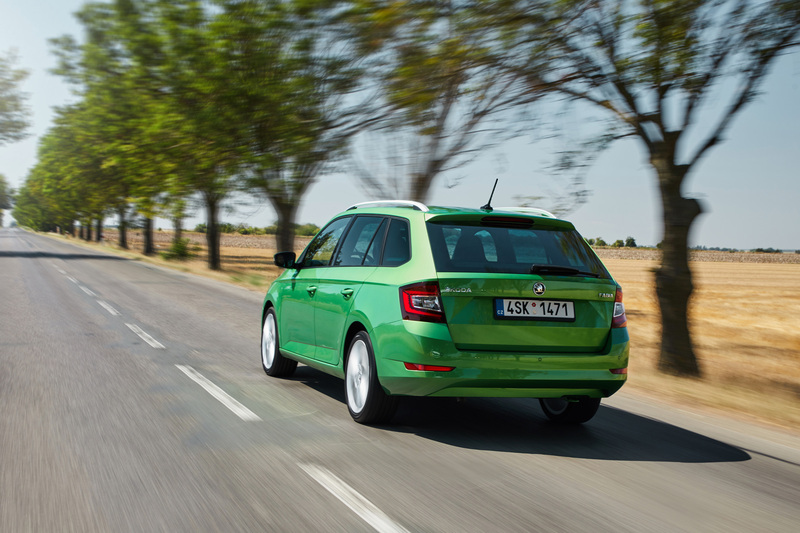 Striking lines, compact dimensions and a dynamic design language characterise the revised ŠKODA FABIA. 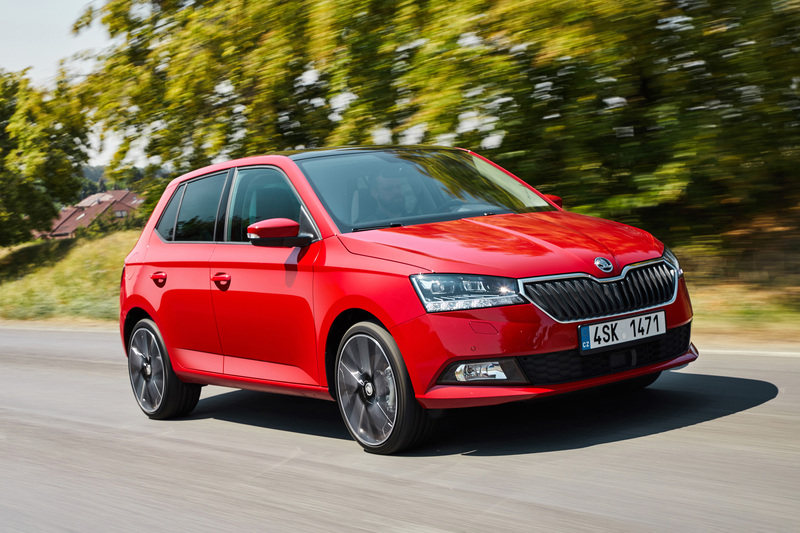 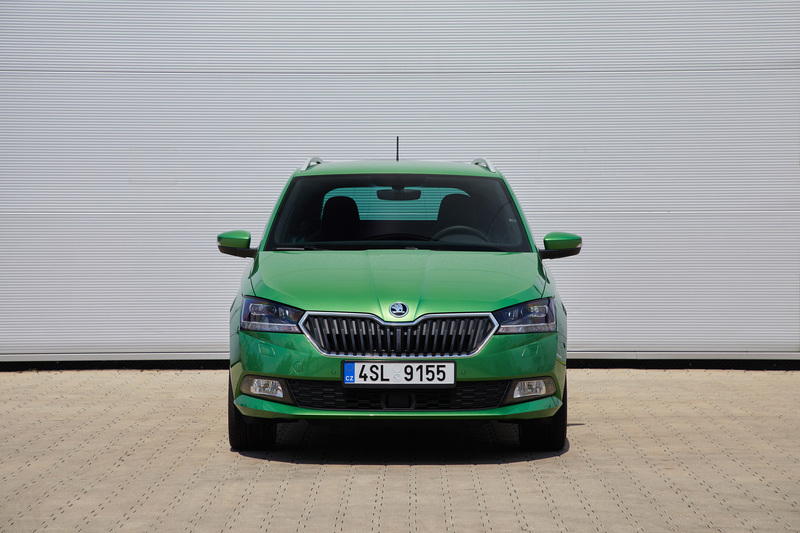 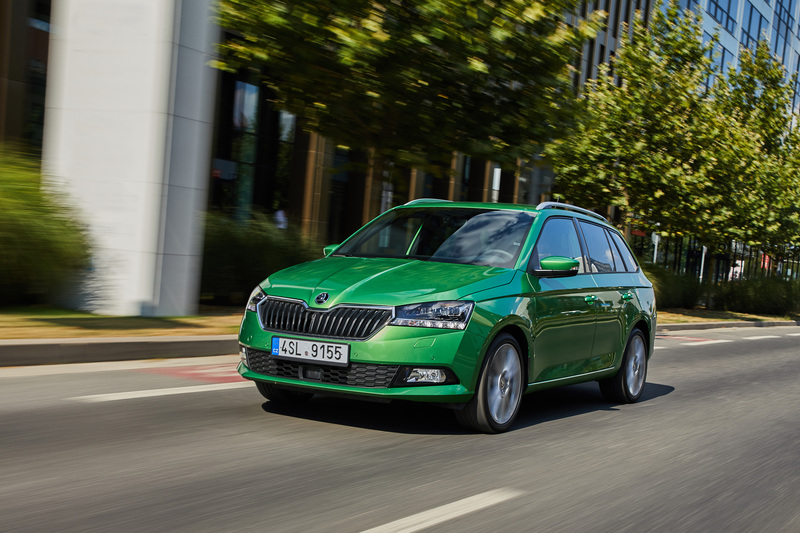 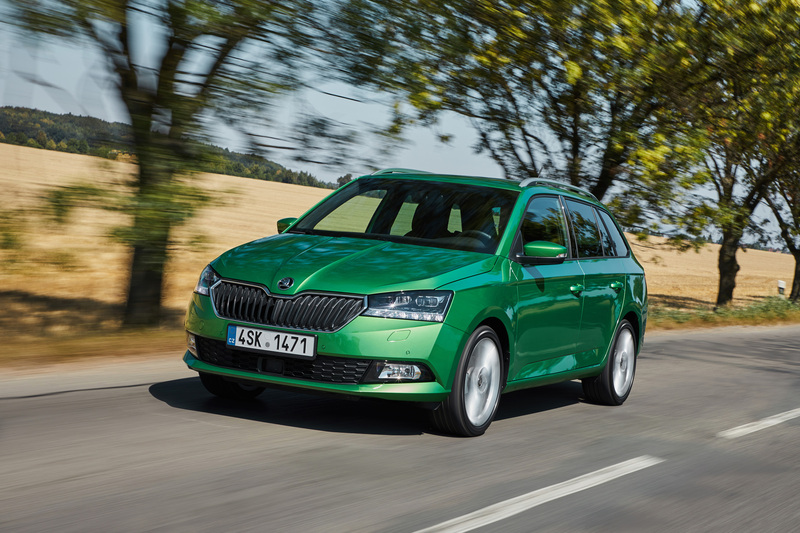 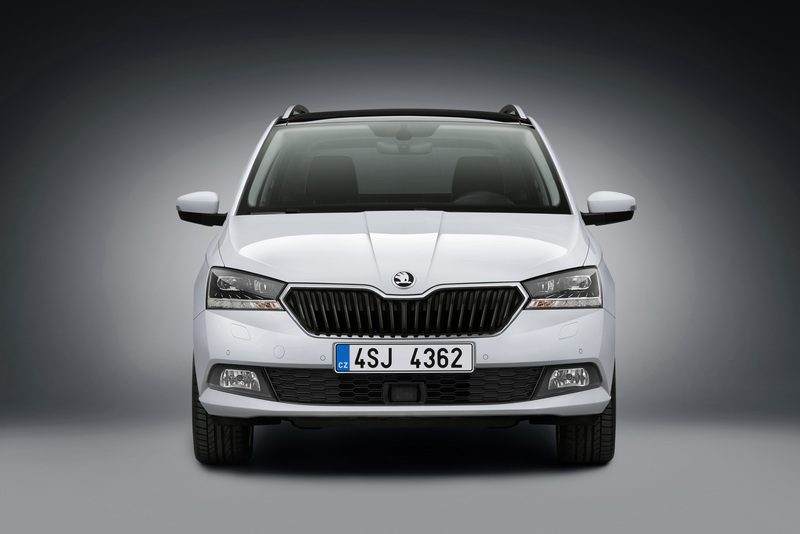 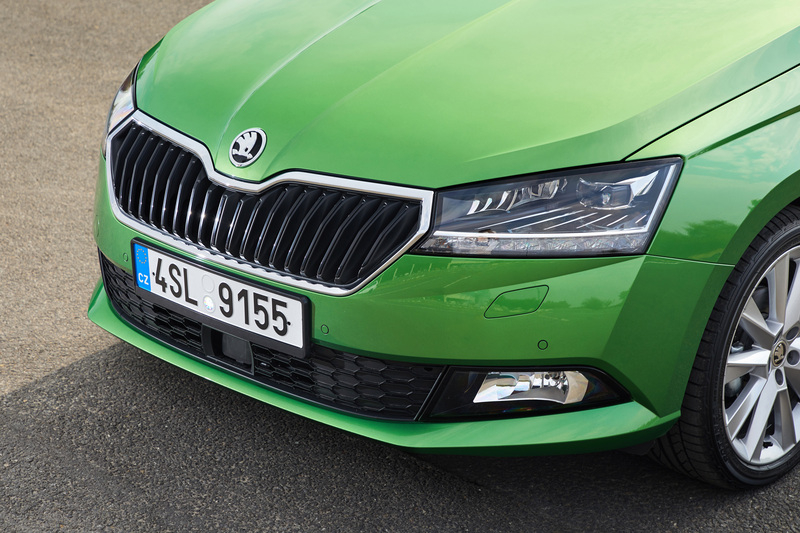 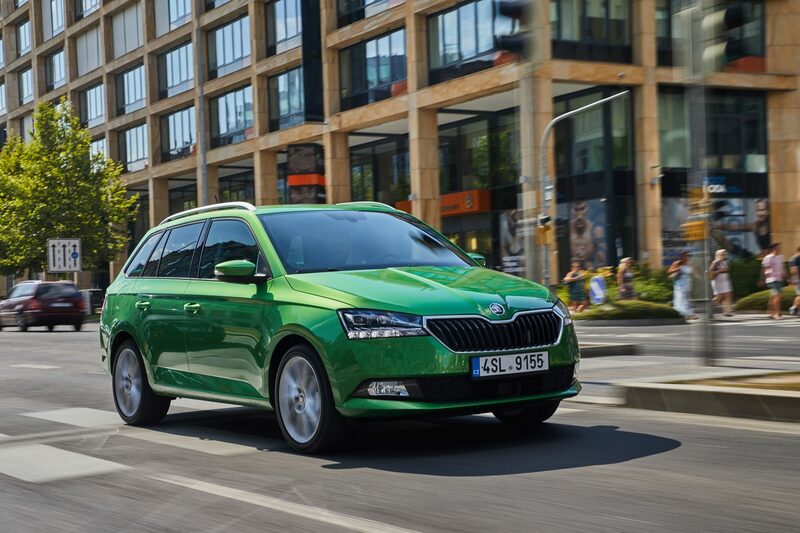 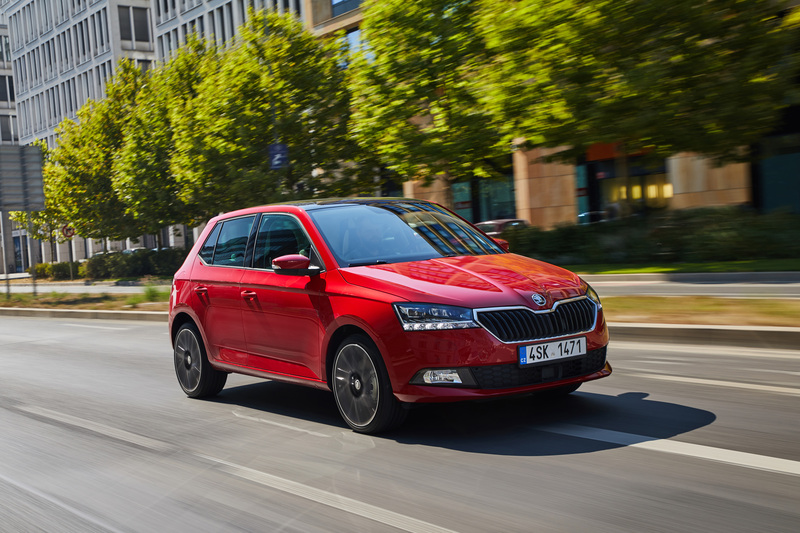 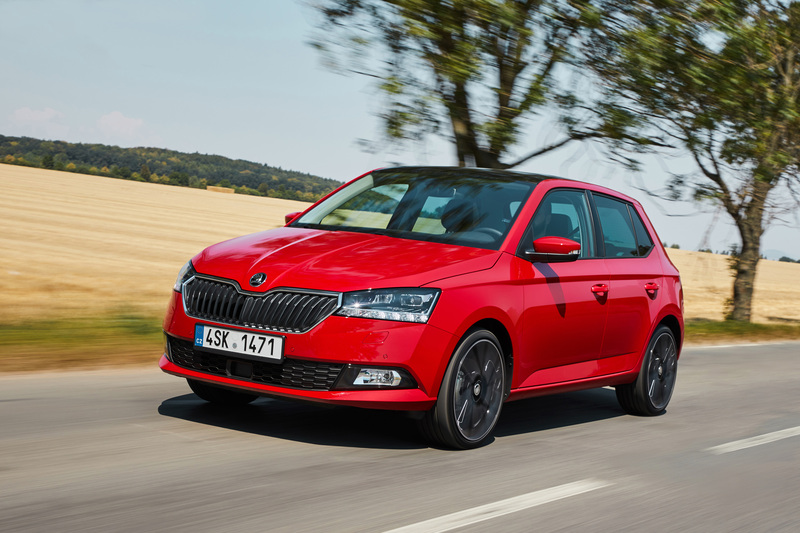 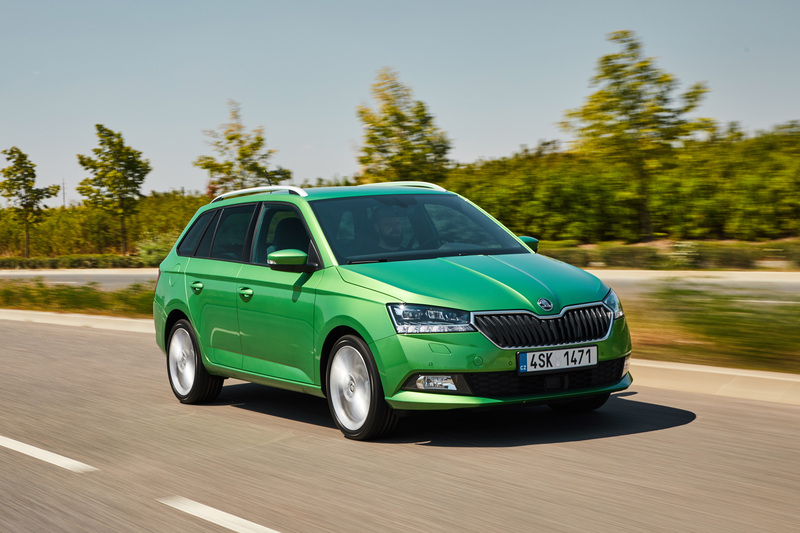 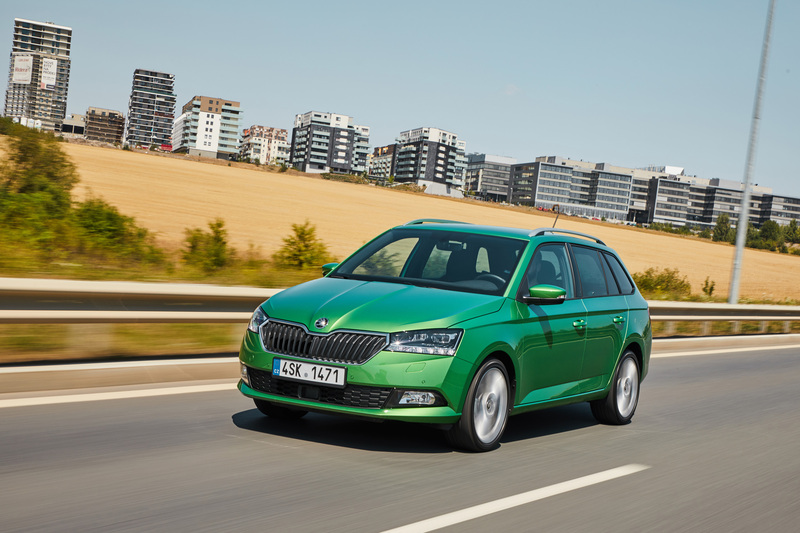 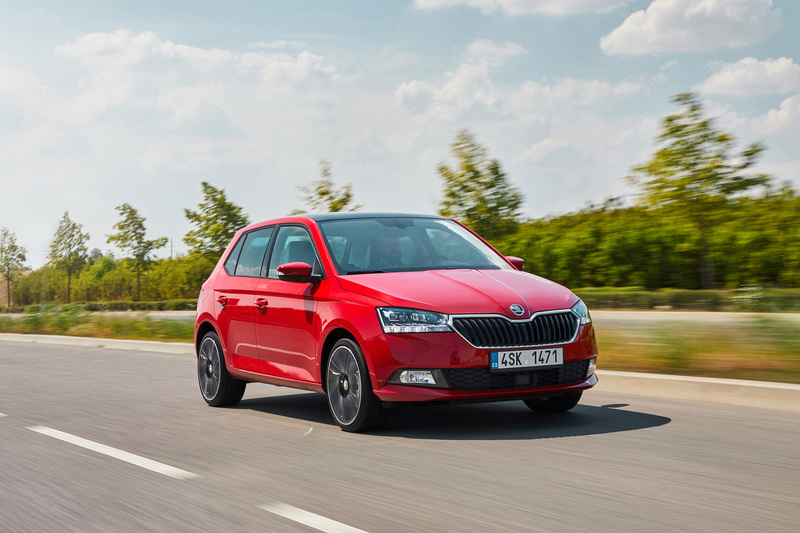 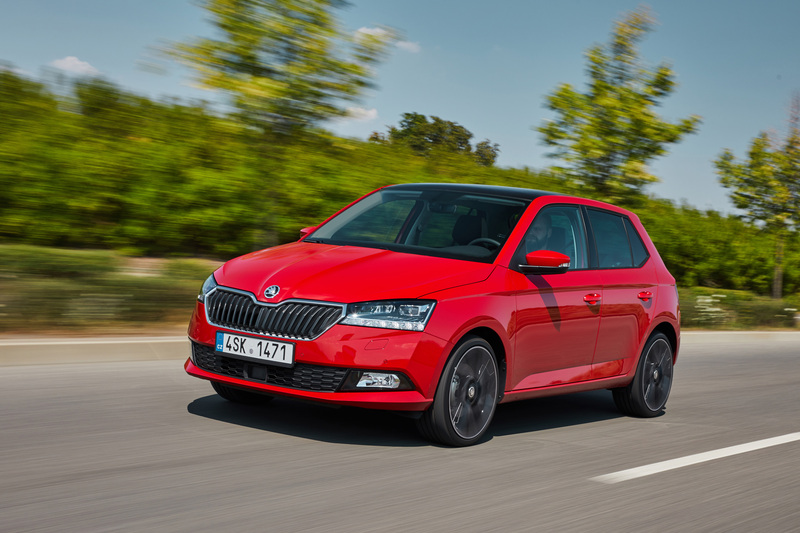 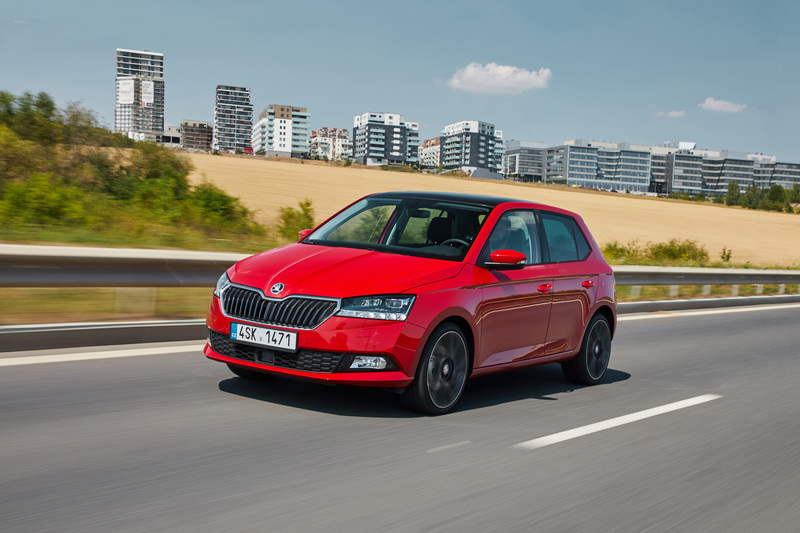 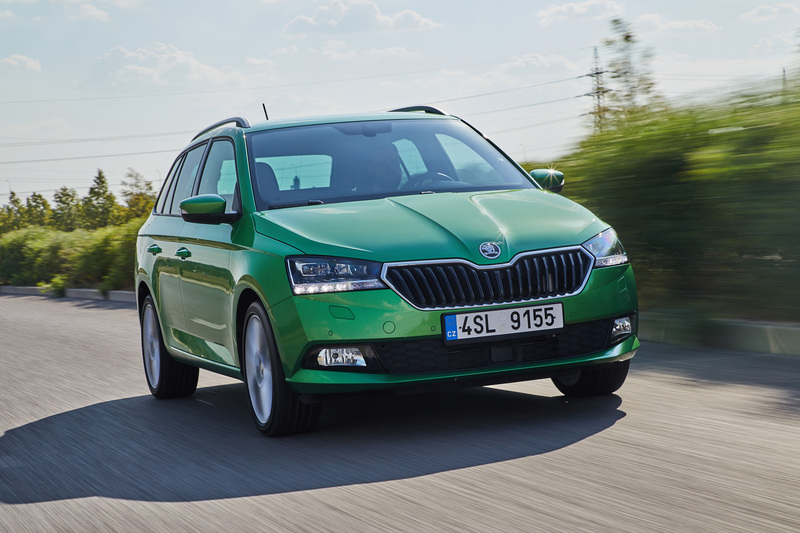 A redesigned radiator grille, alterations to the front and rear bumpers as well as new headlights and tail lights with optional LED technology lend the ŠKODA FABIA even more character. 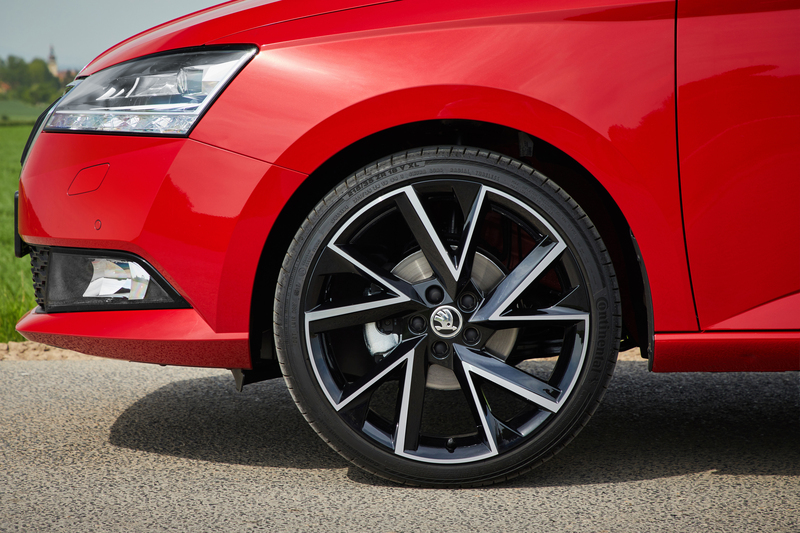 New alloy wheels ensure a dynamic overall impression. 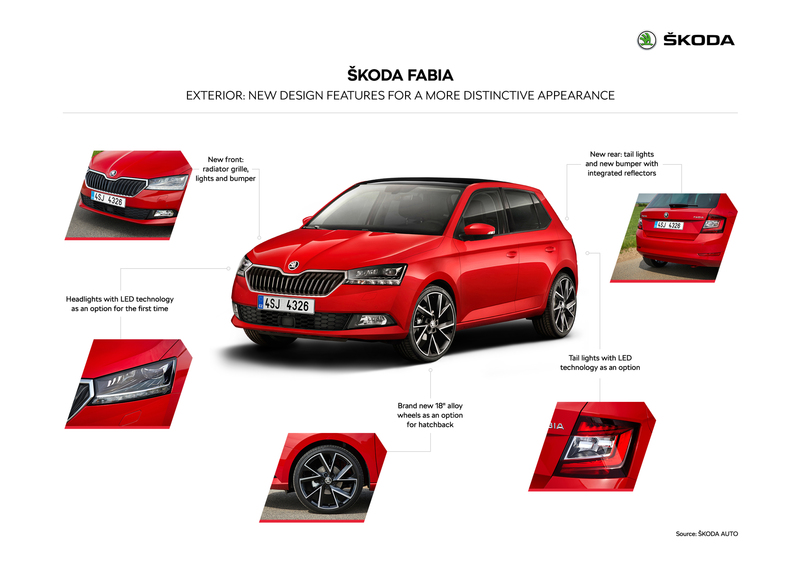 For Karl Neuhold, Head of Exterior Design at ŠKODA, the development of the ŠKODA FABIA’s new exterior was both a challenge and an opportunity. 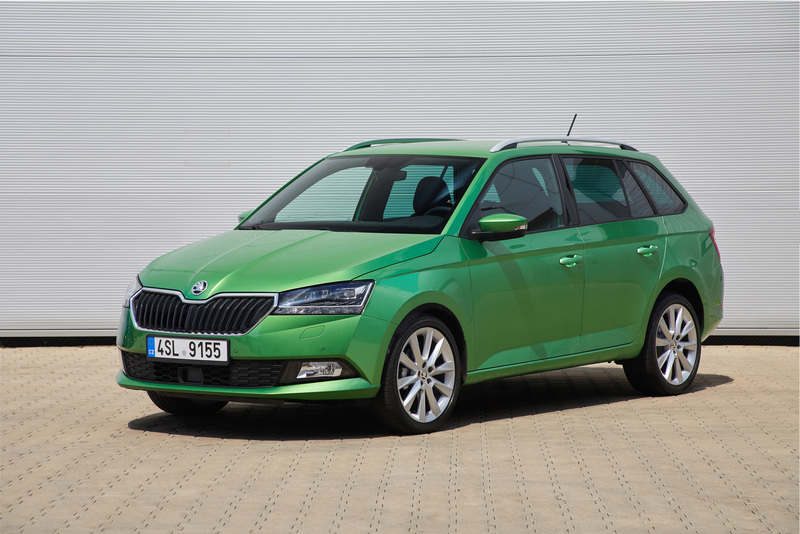 “The redesigned ŠKODA FABIA wows with its elegant, high-quality yet fresh design, making it even more attractive to a younger target group. 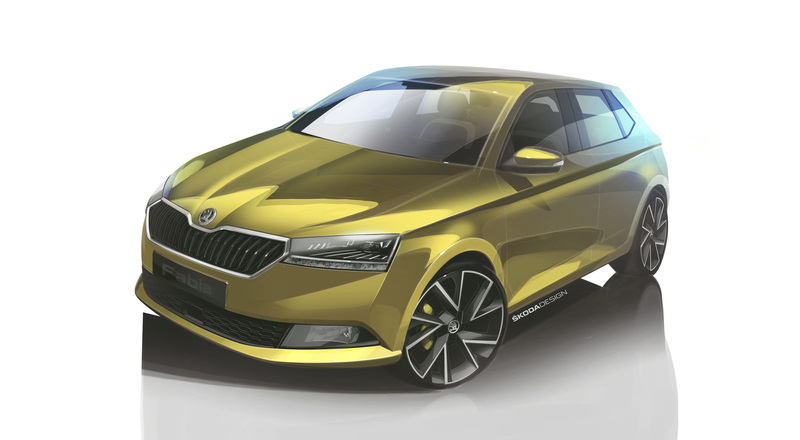 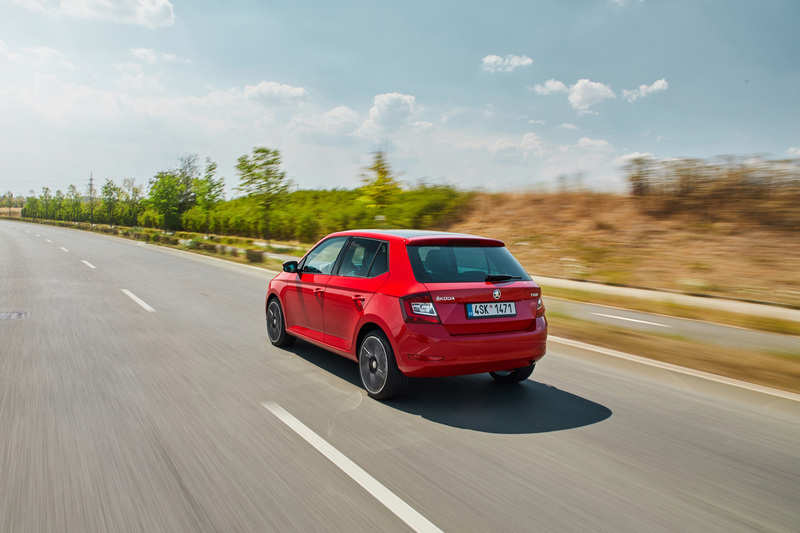 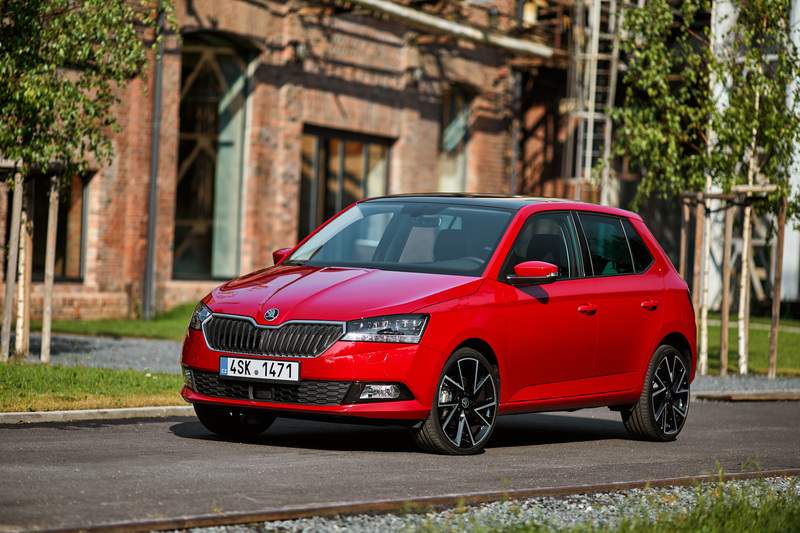 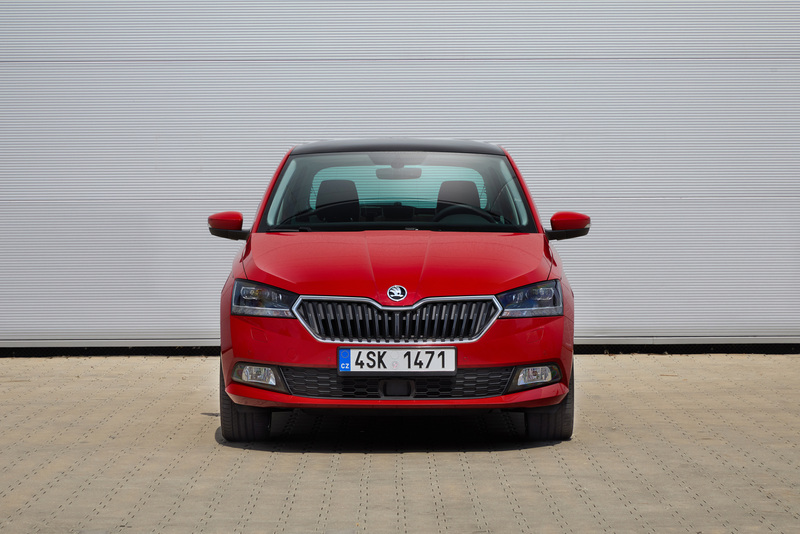 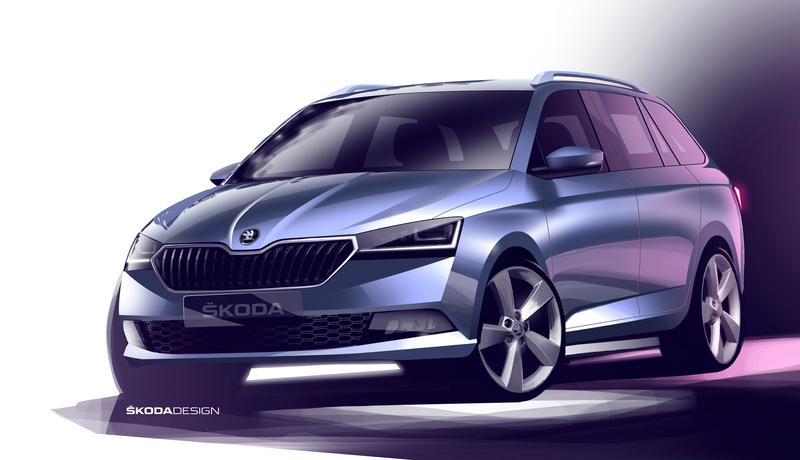 We have carved out the typical elements of the ŠKODA design language more clearly, considerably sharpening the ŠKODA FABIA’s profile,” said Neuhold. 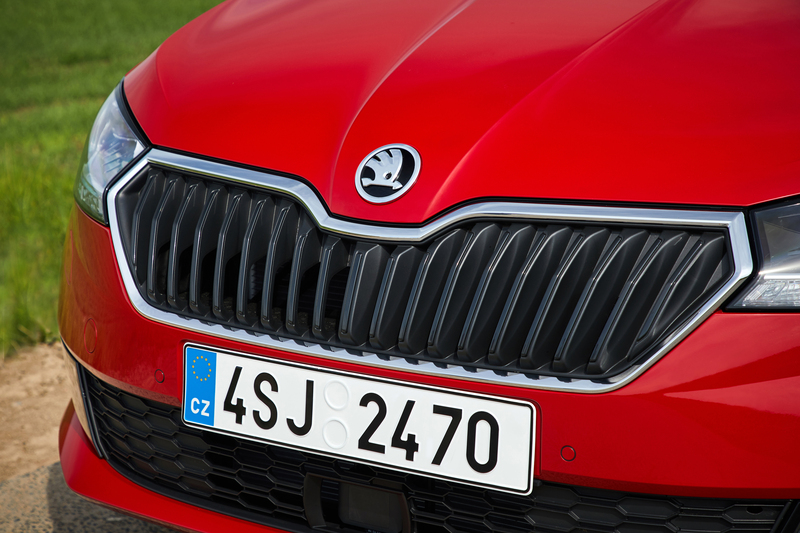 The vehicle front is shaped by the newly designed radiator grille with vertical slats. 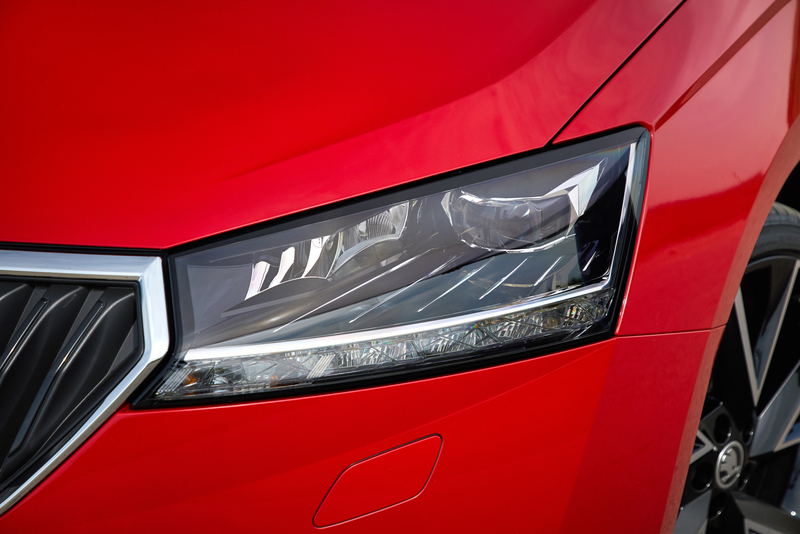 Clear lines also dominate the design of the lights and the front bumper with integrated fog lights. 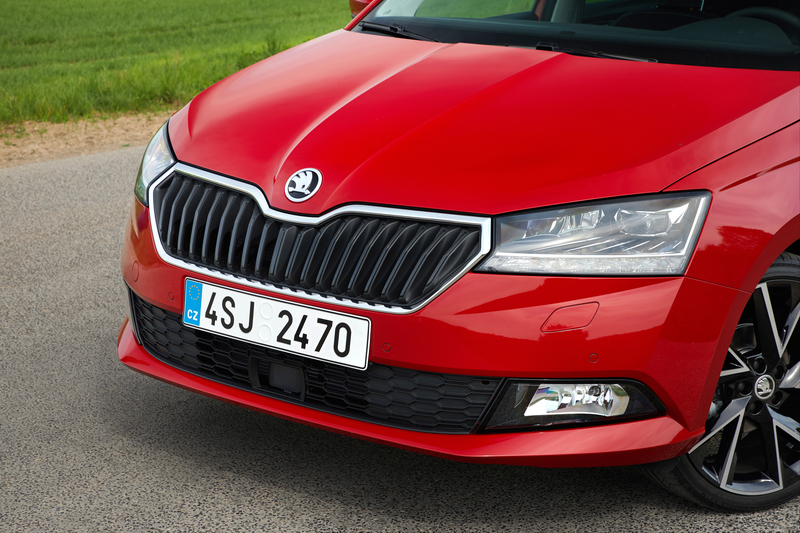 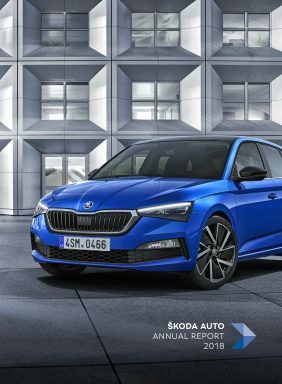 In typical ŠKODA style, the new headlights are reminiscent of cut crystal glass and round off the overall impression of high quality. 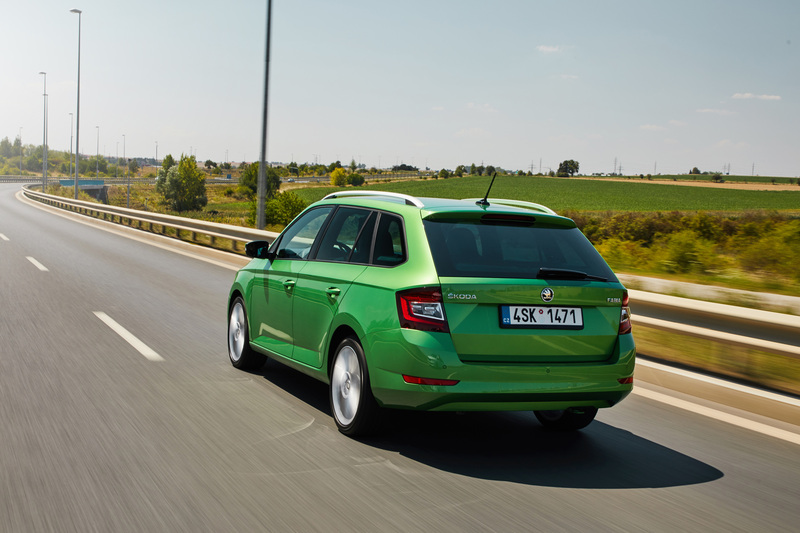 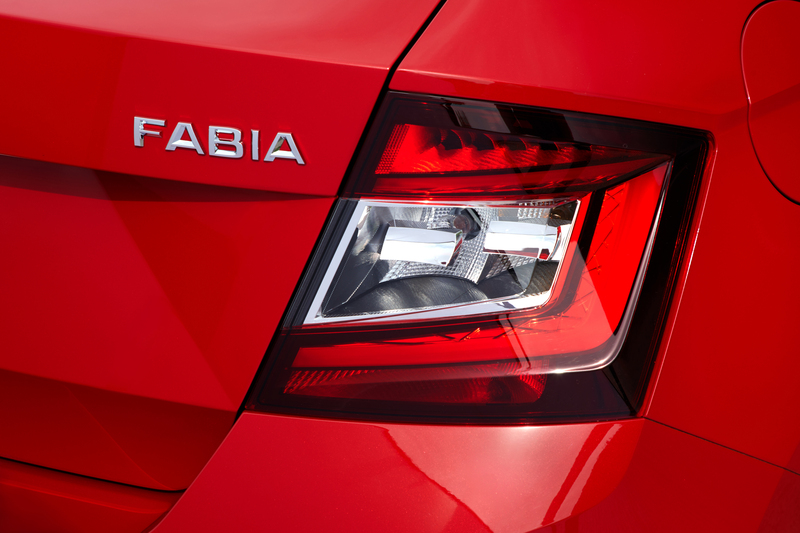 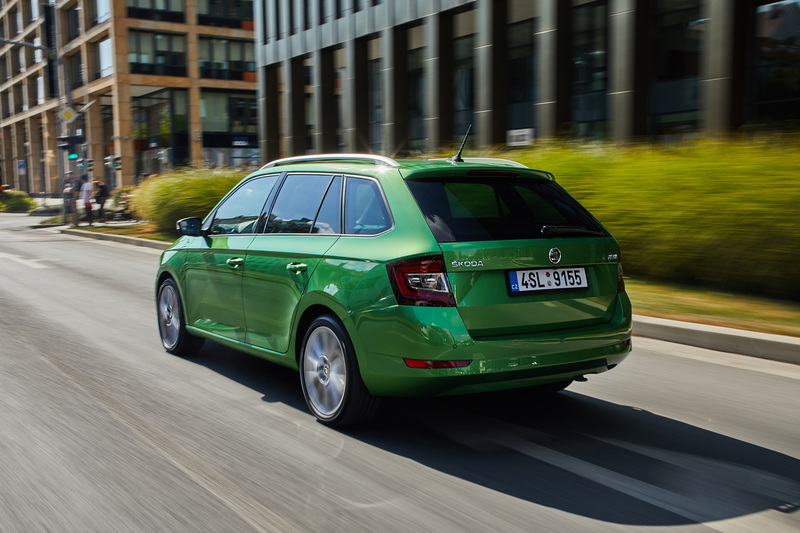 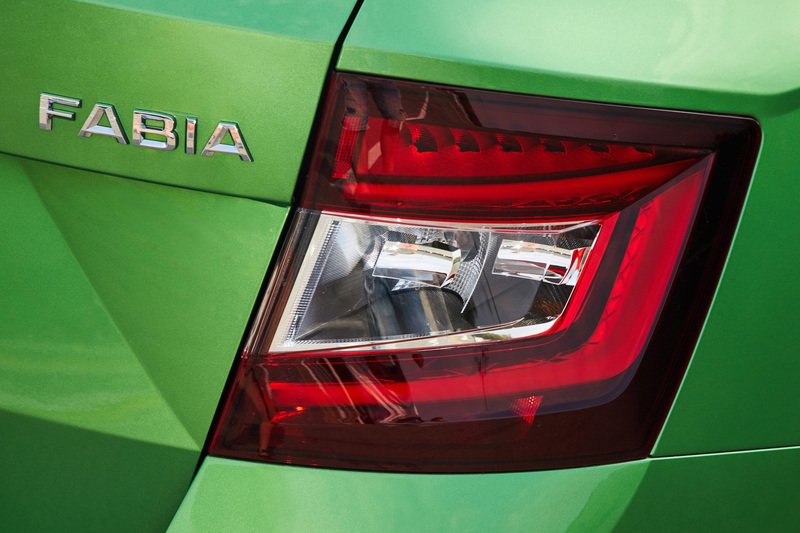 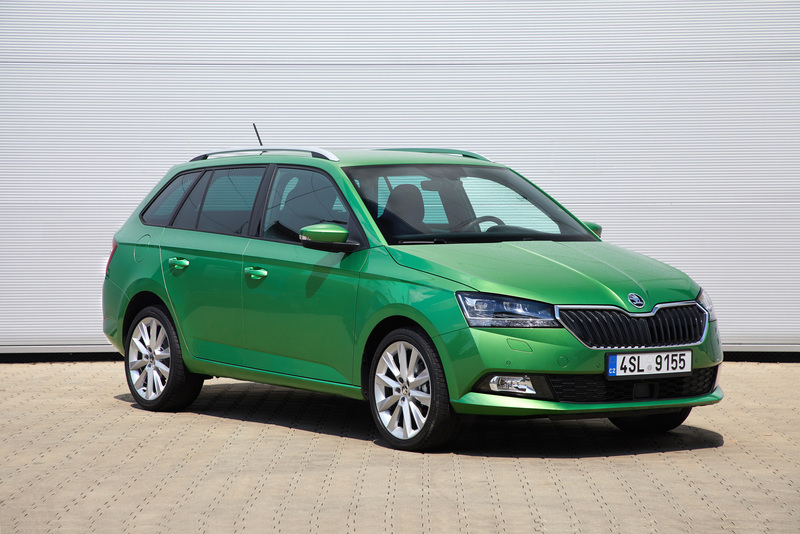 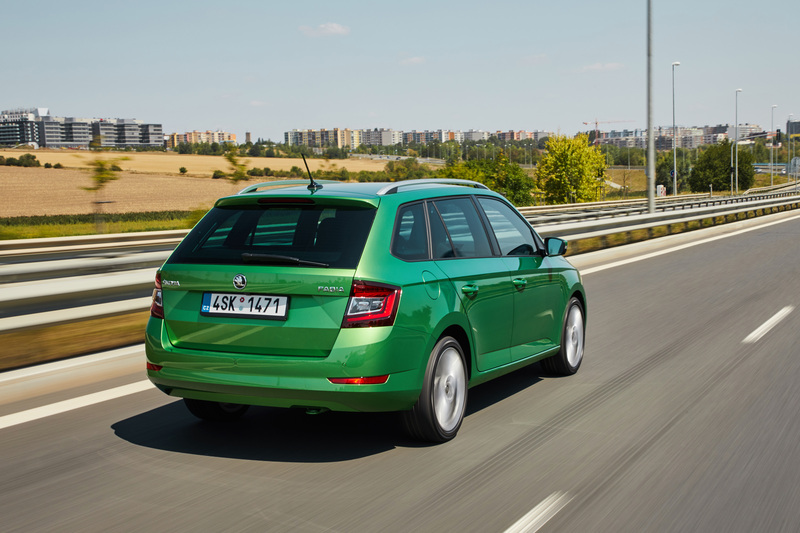 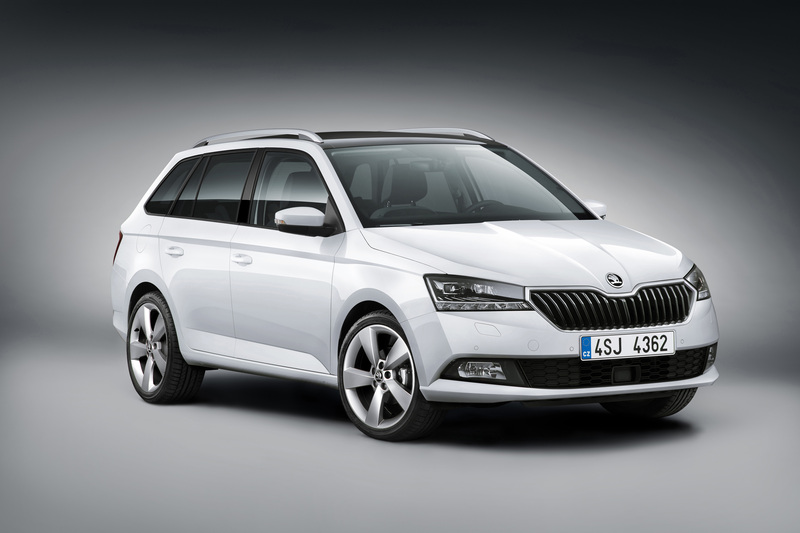 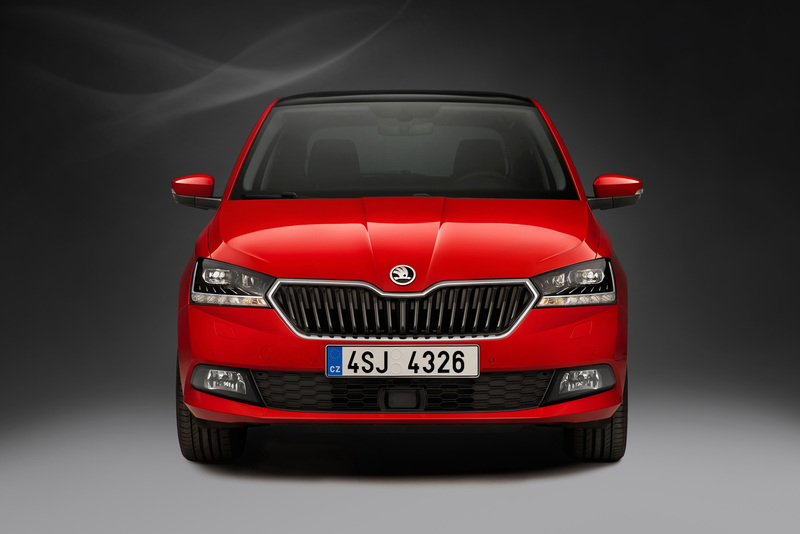 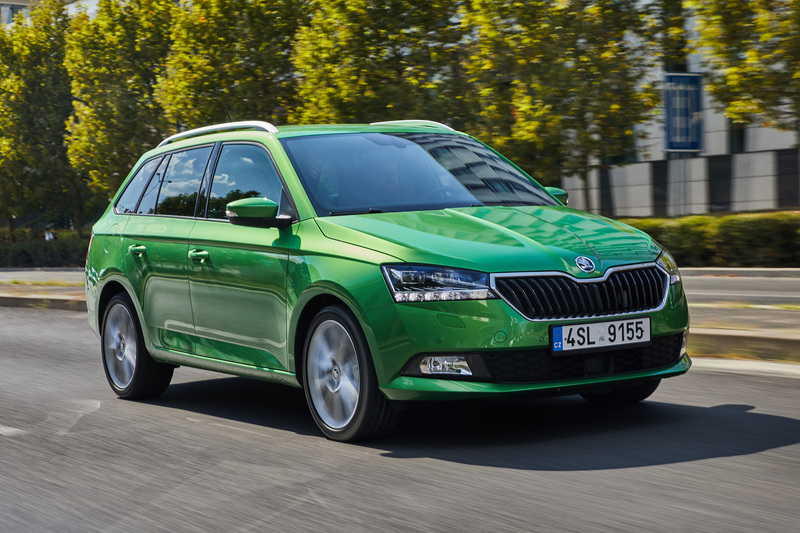 For the first time, the ŠKODA FABIA is available with LED headlights as an option. 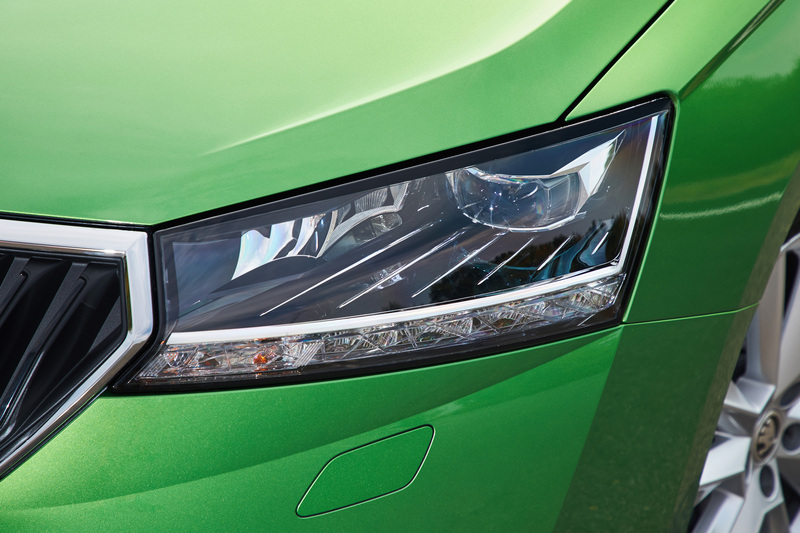 From now on, LED technology is used as standard for the daytime running lights. 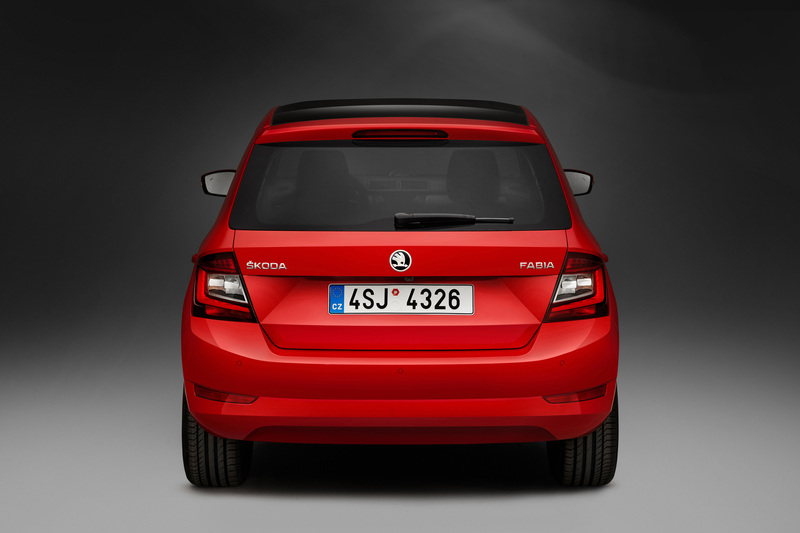 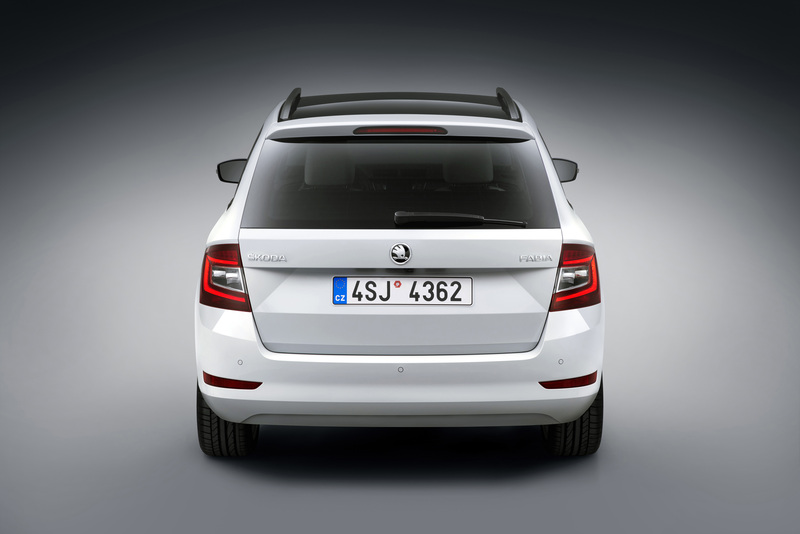 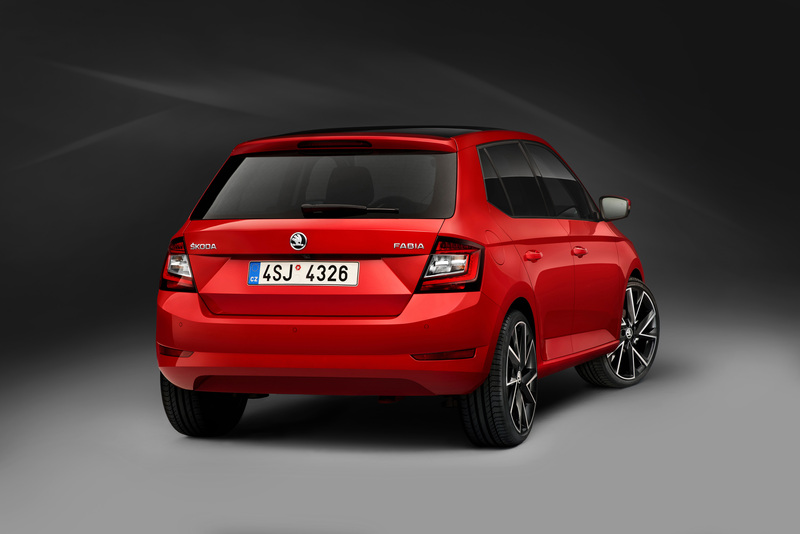 New LED tail lights are also optional, they emphasise the ŠKODA-typical C-shape even further. 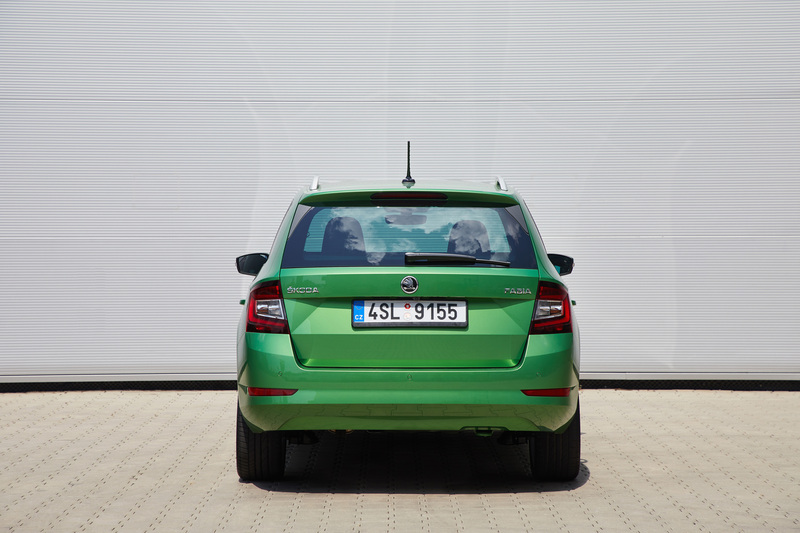 The LED tail lights come as standard in the ŠKODA FABIA MONTE CARLO variant. 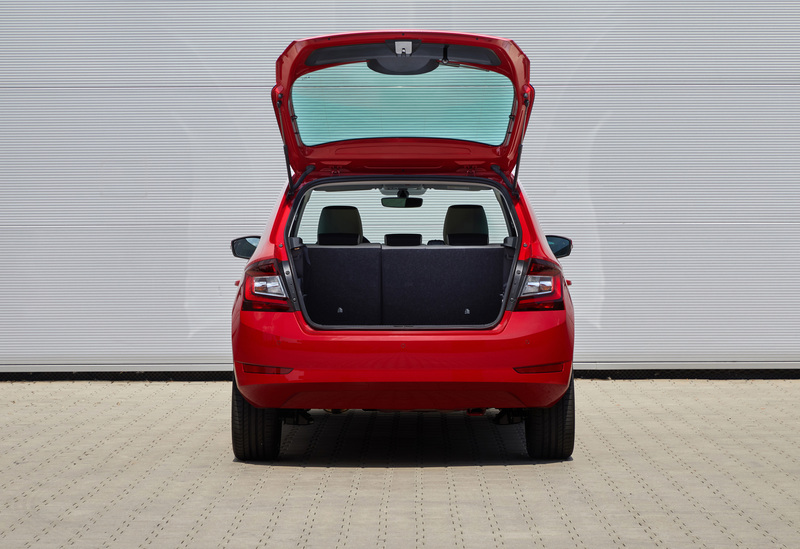 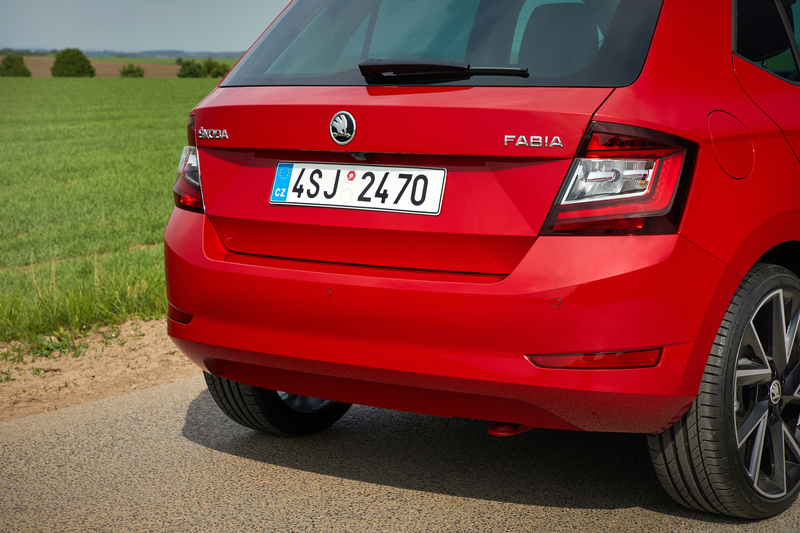 A new rear bumper with integrated reflectors lends the rear section a crisper look. 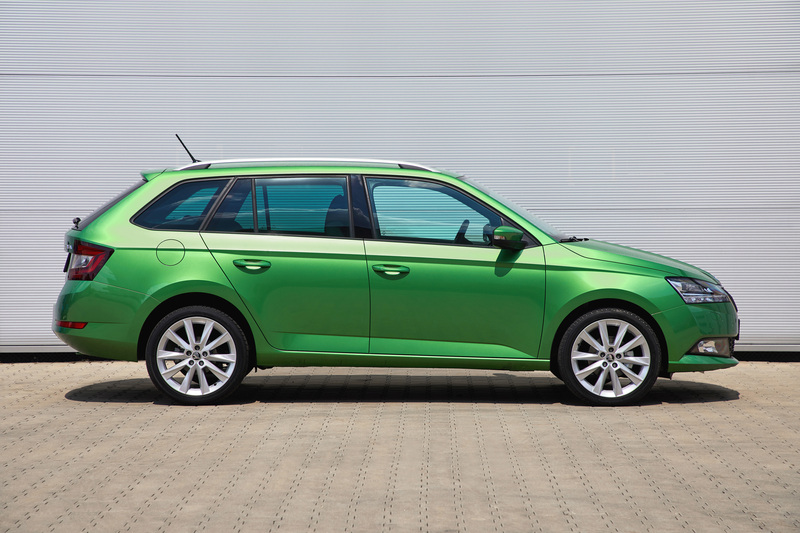 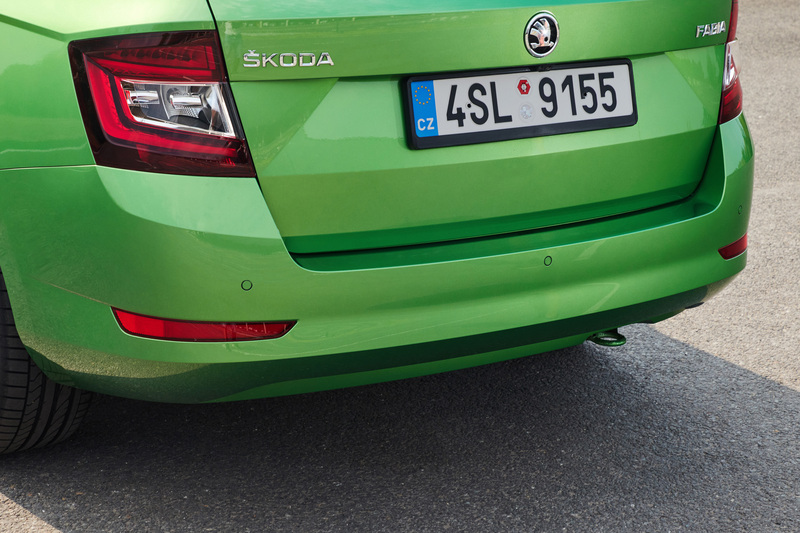 Furthermore, ŠKODA offers newly designed alloy wheels for the ŠKODA FABIA. 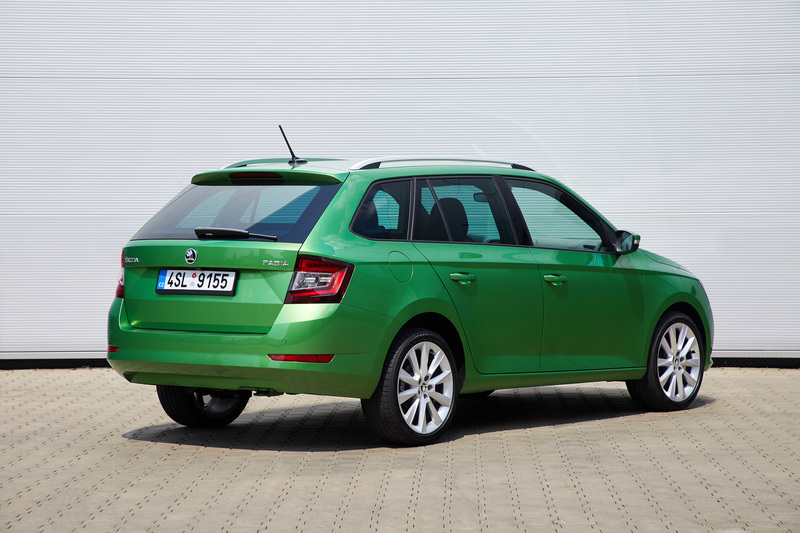 They are optional in the Active trim level, from the Style trim level upwards the ŠKODA FABIA sits on alloy wheels as standard. 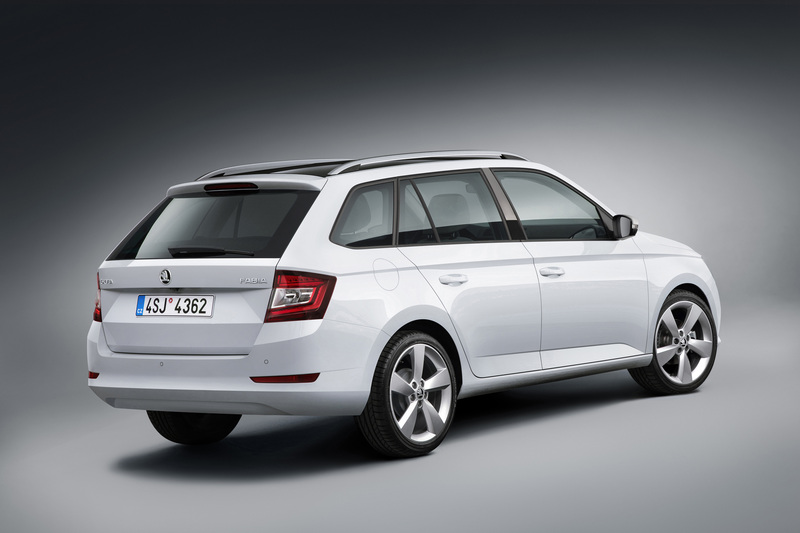 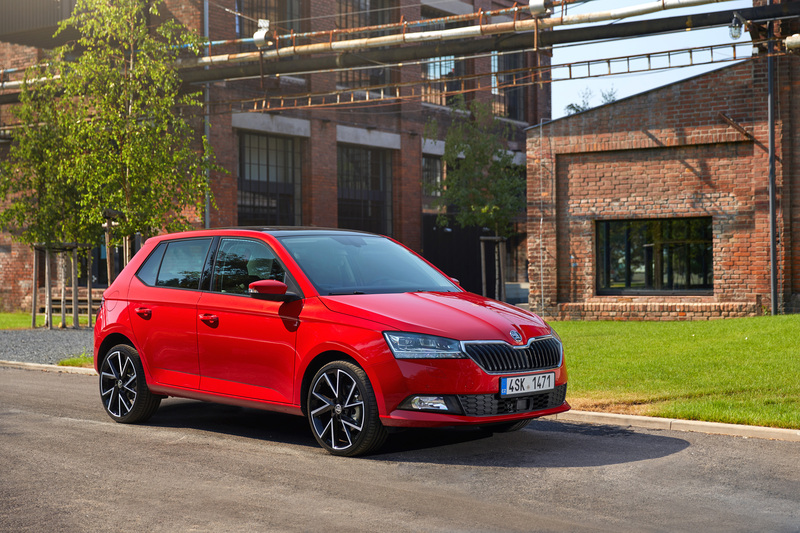 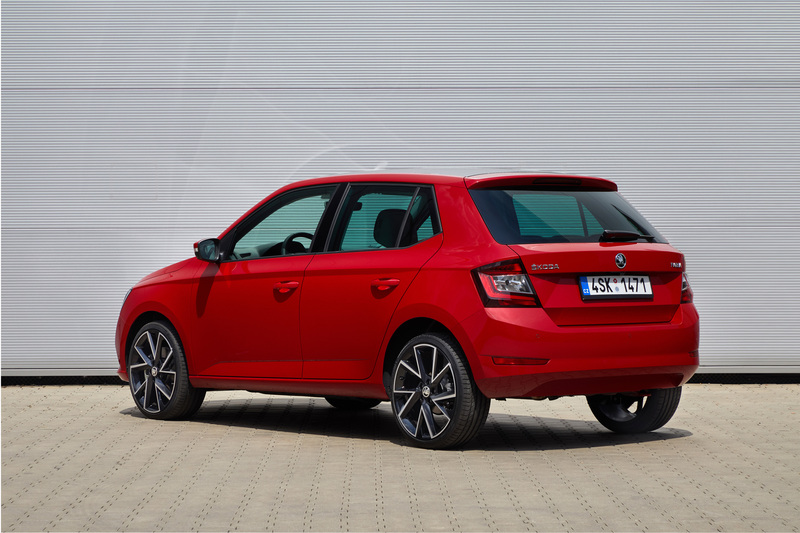 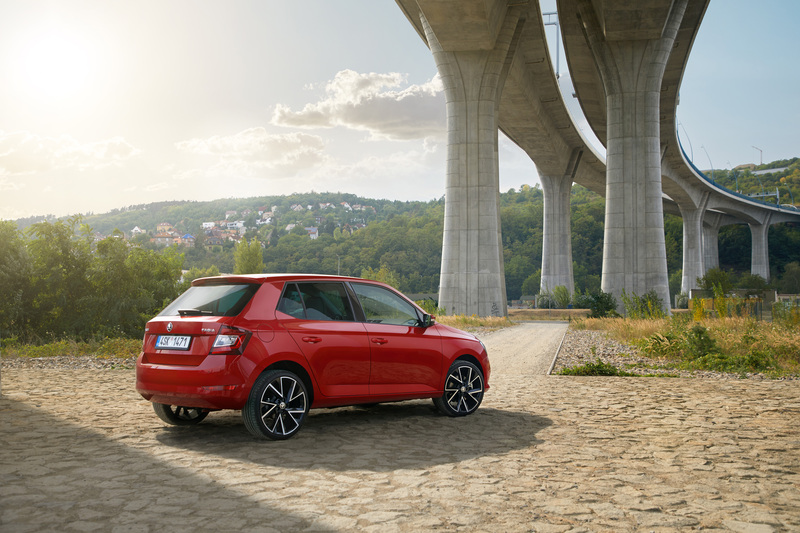 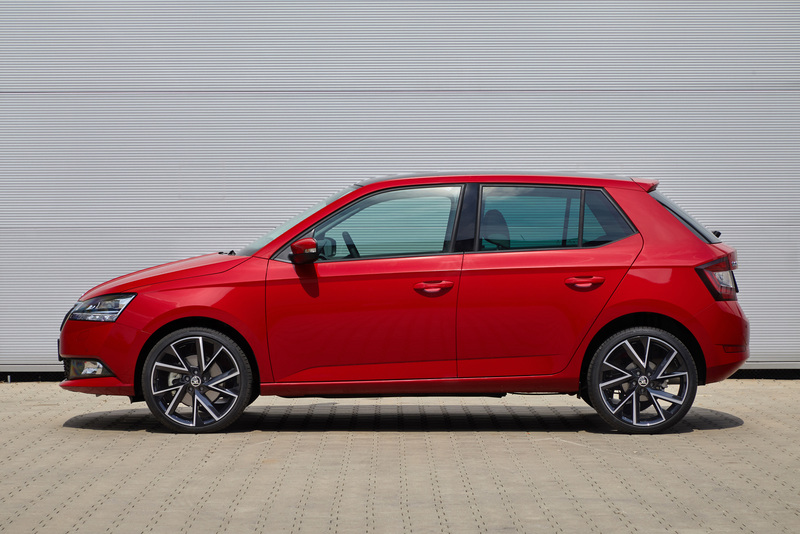 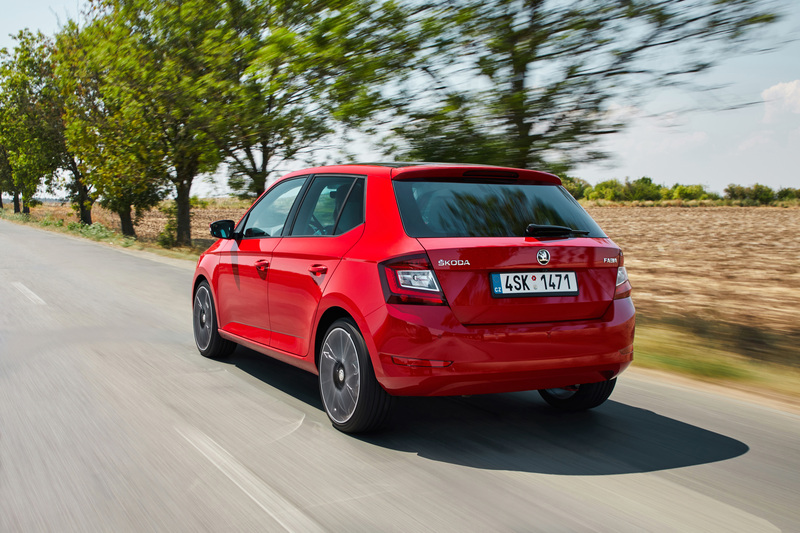 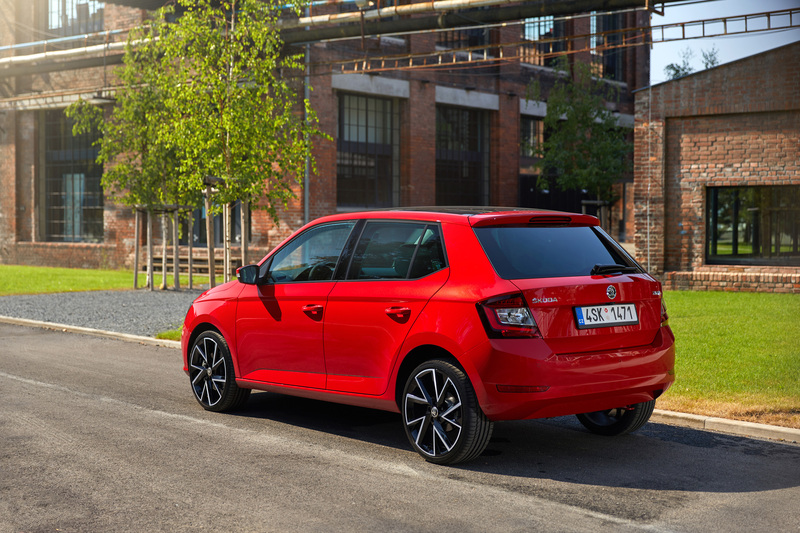 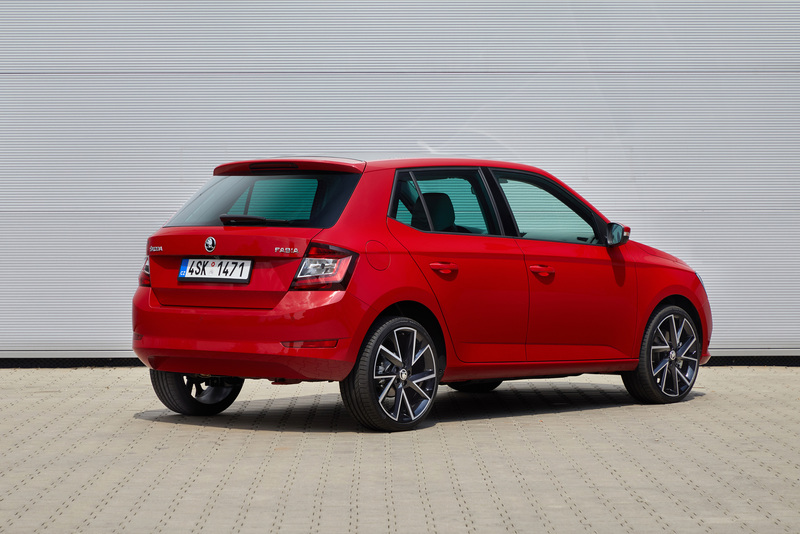 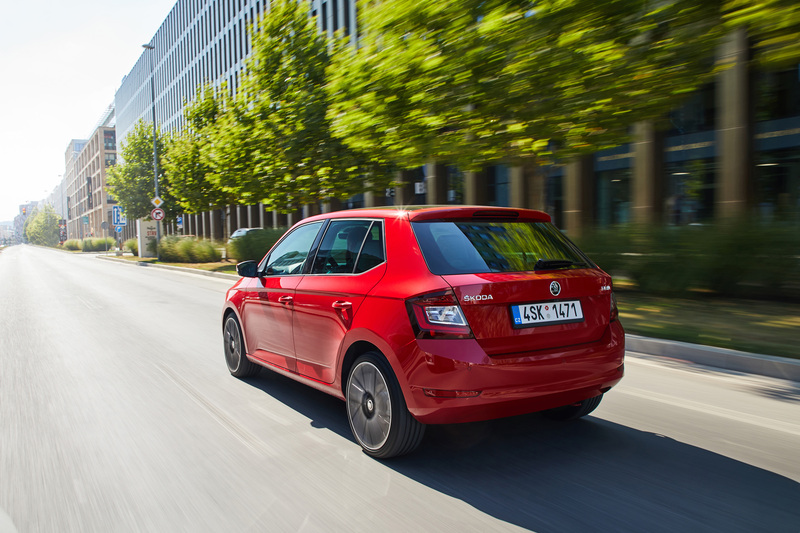 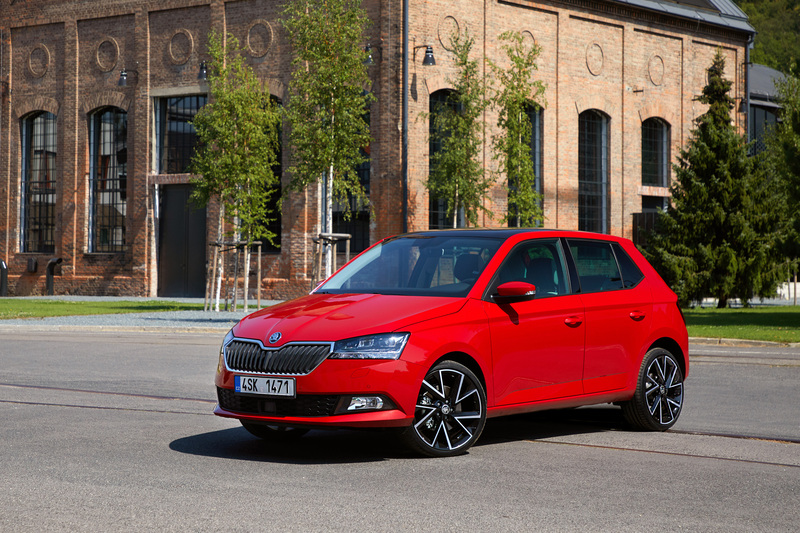 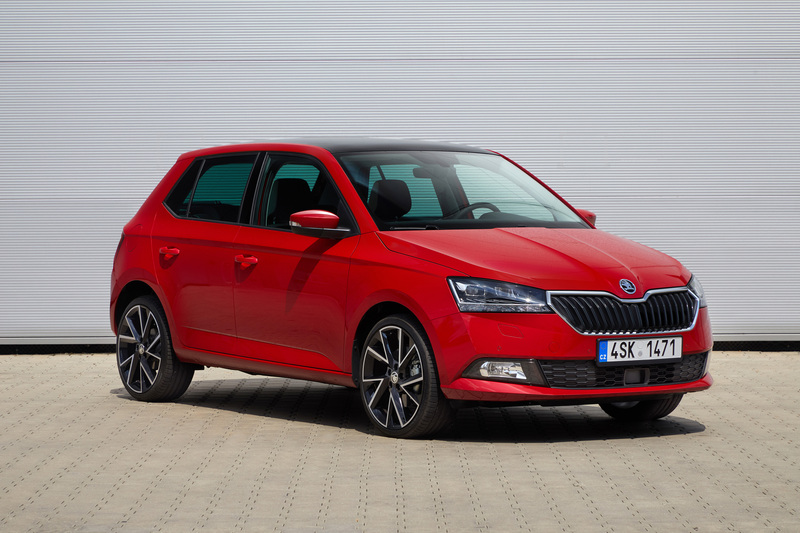 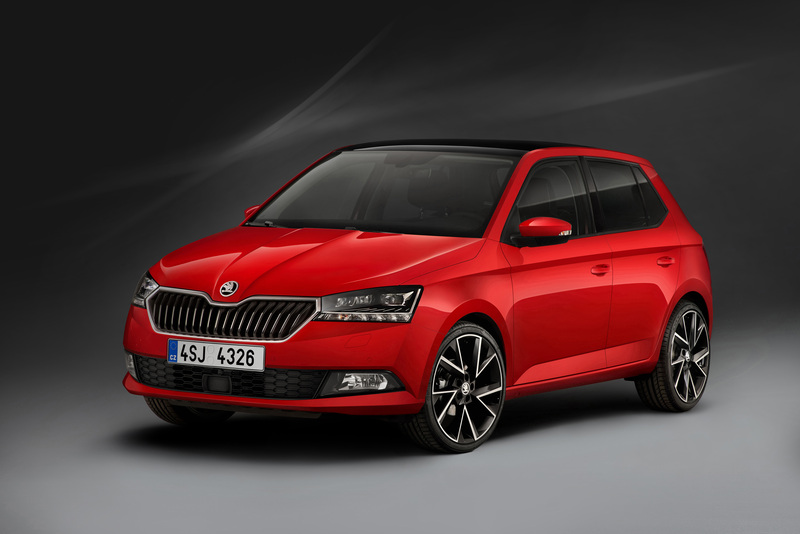 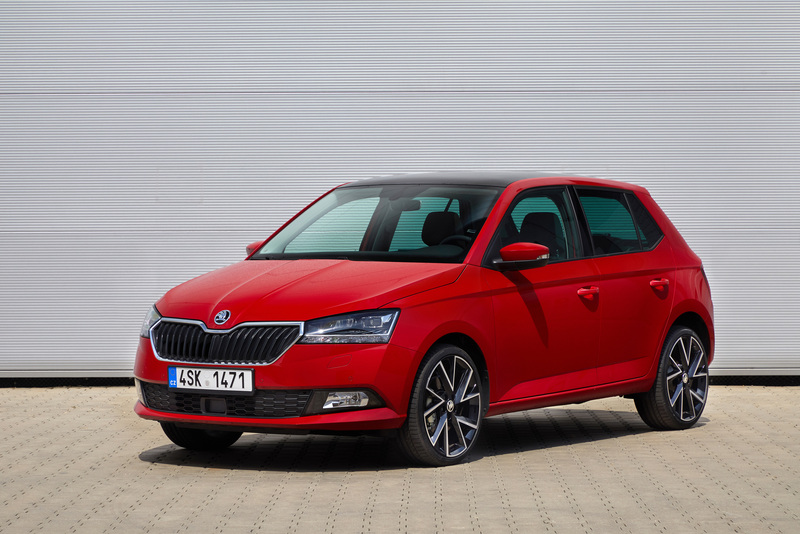 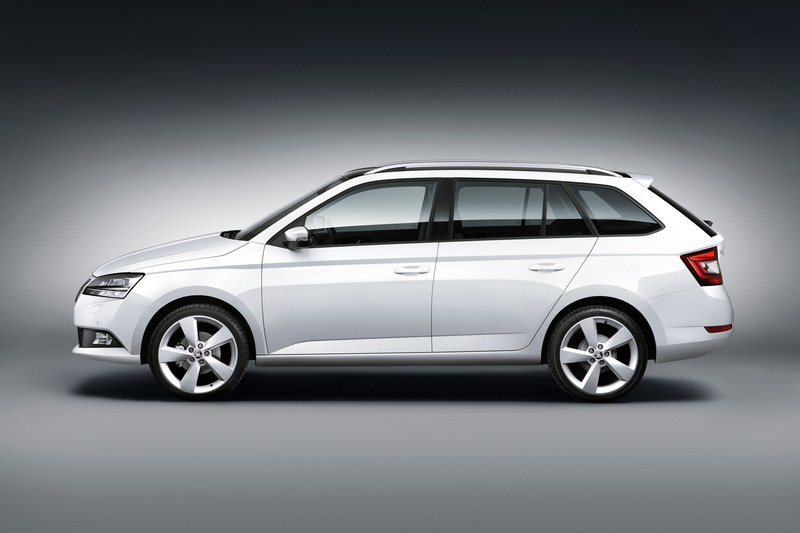 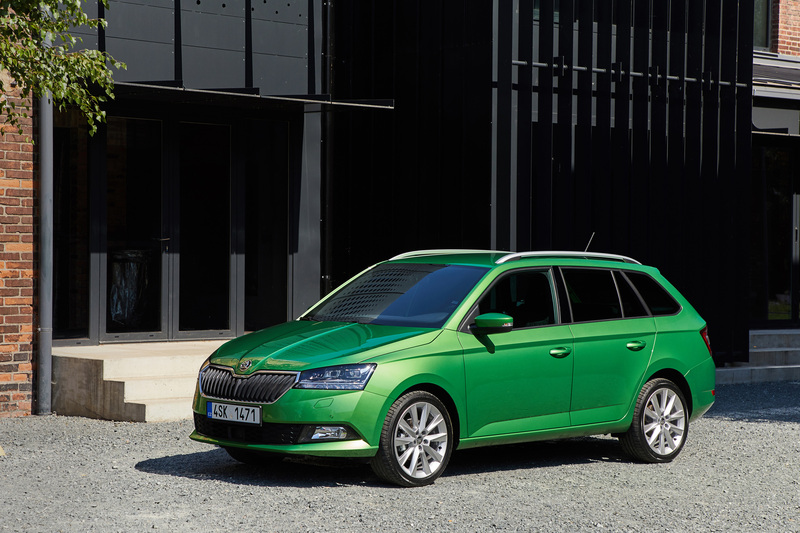 The Vega rim in polished black is the first ever 18-inch wheel for the ŠKODA FABIA (only for the hatchback). 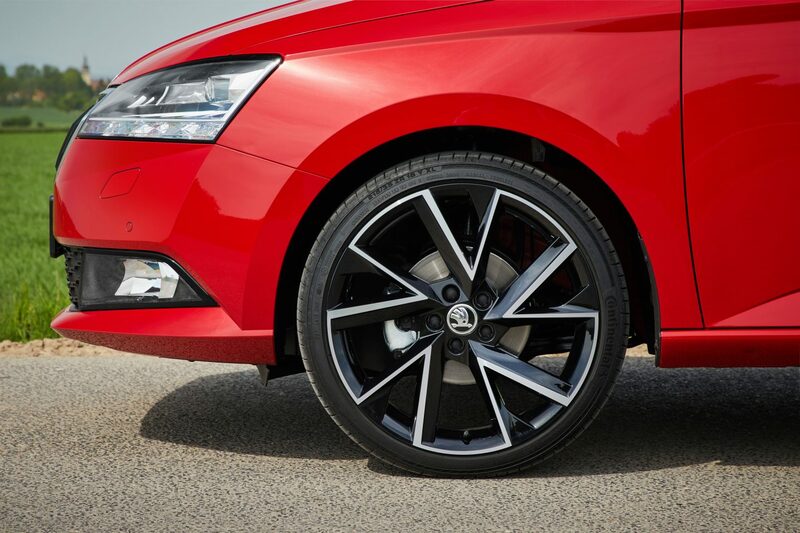 Customers can choose from a total of six new alloy wheel designs. 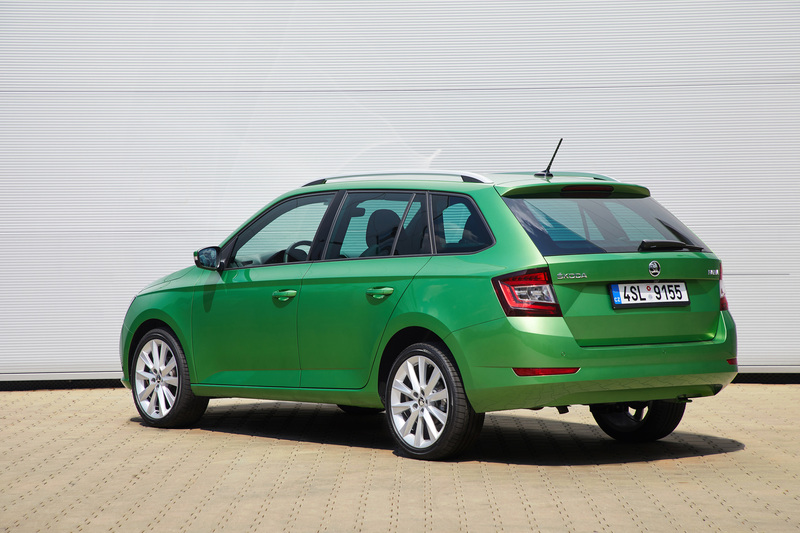 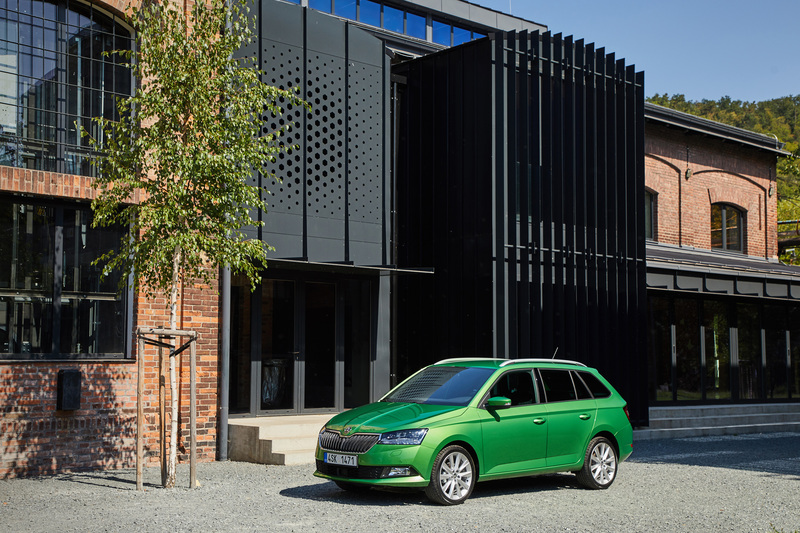 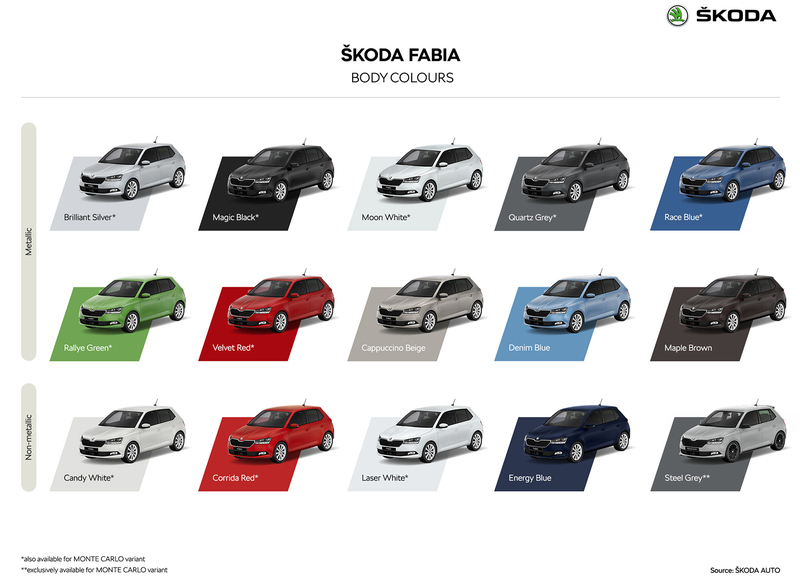 The ŠKODA FABIA’s body can be individually designed – 15 exterior colours are available; Steel Grey is exclusively available for the ŠKODA FABIA MONTE CARLO. 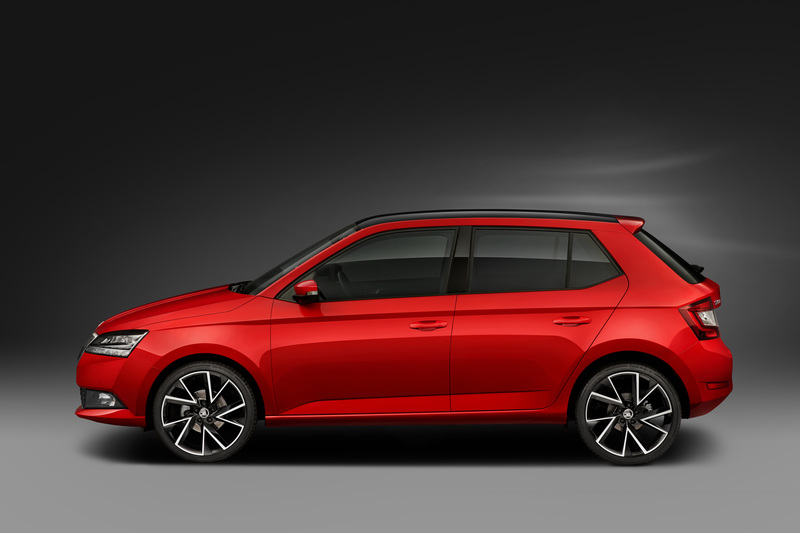 With the hatchback, the ColourConcept option also offers the opportunity to have the roof, A-pillars, wing mirrors and the optional 16-inch Vigo wheels painted in a contrasting colour (black, white or silver).